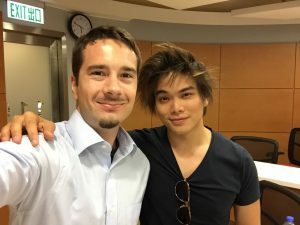 Matthew Owen is an incredibly talented magician who has performed for heaps of companies and brands across Hong Kong and Asia. 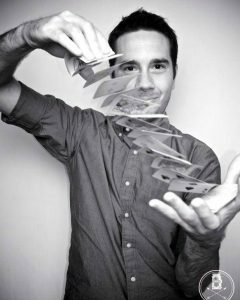 He performs for brand launches, private parties, corporate events and more – he even teaches and runs magic workshops too! My name is Matthew, from the south UK. My hobbies involve magic, hiking, snowboarding, mountain biking, clay shooting and traveling. 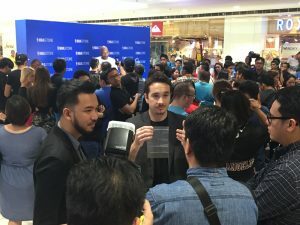 I’m a professional magician and perform all over Asia and privately teach magic. I’ve lived here for a total of 13 years, on and off. I was originally born here then I was dragged back to the UK at the resentful age of seven. Luckily I grew older and more independent and couldn’t wait to come back here in 2012. When I was around five years old, a family friend showed me my first magic trick with a coin. A few years later, he let me in on the secret and I was mind blown at how simple it was but the best part was, now I could do it to others. Funnily enough, I never had the desire to become a magician, it was just an interest that I wanted to keep to myself. This is a hard one as I love everything about magic. The different layers and challenges involved in magic, it’s not just about learning a trick, practicing and showing someone. There is a lot of psychology, philosophy, dexterity, memory techniques, patience, timing, showmanship, and many different plots to consider. Even if magic doesn’t interest you, learning about how and why it works is fascinating. But for me, it’s the thrill of entertaining people and bringing everyone down to the same level. Mainly my friends in the magic community and my family. Without the support from them, I really wouldn’t be doing this today. I also attend a lot of lectures every year and get to meet many of my idols. Last year, I was fortunate to have a 2-month residency at the Ritz-Carlton’s restaurant, Tosca. I think this has been one of my favourite projects to work on due to the amazing staff, the wonderful customers and I had to come up with routines for some of their promotional material. There are two new areas I have been working on. 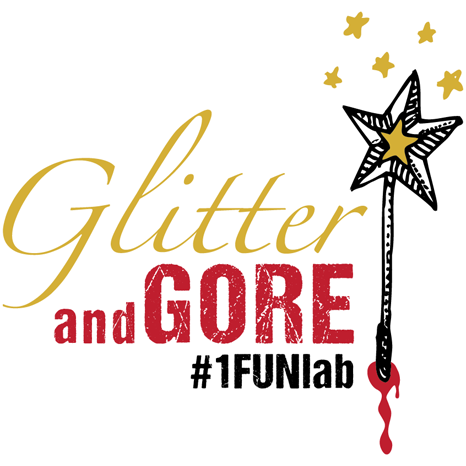 Trying to develop an act for stage and provide entertainment for kids shows. 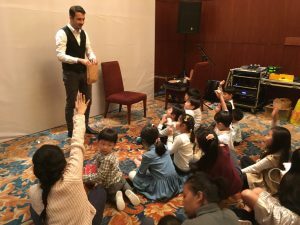 I am delighted to say that the kid’s show has gone rather well and found a unique market on magic workshops for the Hong Kong market. Over the past year, I have been taking acting and improv classes to develop and understand stagecraft and showmanship, but I don’t think I will take the stage anytime soon! It depends on what the project is, it could take a few weeks to a year. Most of it is based on learning a new effect. I would have to source the secret (book or video), spend time going through the instructions and if I already know the sleights/moves then it wouldn’t take too long to develop. If I have to learn everything from scratch then this can be time-consuming as I need to practice the moves, get it to a nice flow, then practice on an audience and can take anything up to a few years before it’s finally ready. You can find out more about Matthew here and about his kids magic workshops here. 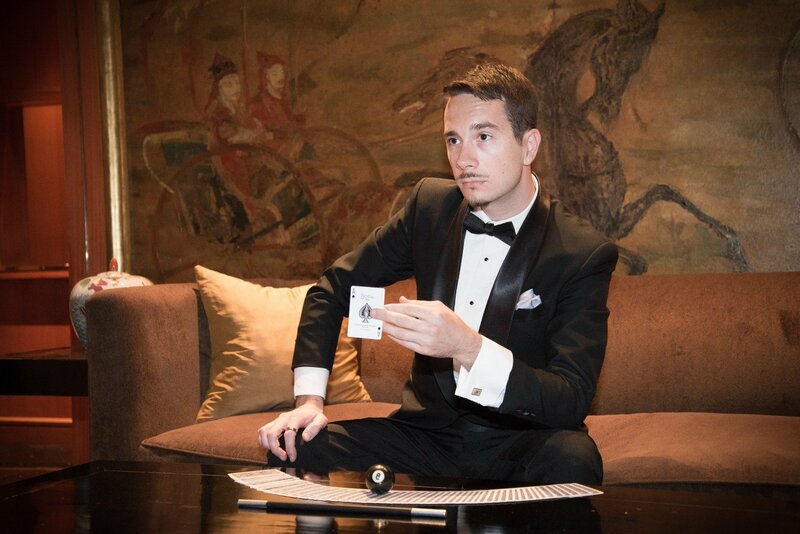 To see Matthew in action come and join the Kids Halloween Party at The Hive Sai Kung, where we’ll be running a super spooky Halloween FUNhunt and Matt will be showing, and teaching, some magic!! Click here for all the details!